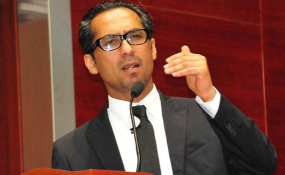 FAMILY of missing business tycoon Mohamed Dewji, MO, yesterday dismissed as unfounded widely circulating rumours that it envisages closing its businesses by October 20, 2018. Since Wednesday evening, rumours that went viral on social media had it that the family was about to close all companies under Mohamed Enterprises Tanzania Limited (MeTL) as a strategy to pressure the government to put more efforts on hunting the young billionaire who was abducted on Thursday, October 11, this year. Speaking to 'Daily News' in Dar es Salaam, the family spokesperson, Mr Azim Dewji said there is no plan to close the businesses. METL is a group of companies with several subsidiaries in beverages, edible oils, flour milling and textile manufacturing and soaps, among other commercial activities. The company operates in at least 10 African countries and has ambitions to expand to several more. With direct employment of over 25,000 workers, METL contributes about 3.5 per cent of the country's Gross Domestic Product (GDP). And, the family remains optimistic that their beloved son will be rescued alive. "It is not true that the family is planning to close the business as it has been reported on social media, we have a strong belief that the government is with us and is playing its part to have our relative rescued," Mr Azim Dewji stressed. He said the family will not stop searching for MO until his whereabouts is established. "We have not lost hopes to have him back, the family is praying for his safety. We trust the security organs that are working on the matter," explained the family spokesperson.
."I can't talk about this right now, may be next week when we will hold a press conference," he said. So far, eight days have passed since Mo who is METL Chief Executive Officer was abducted as he attended a fitness session at the Colosseum Hotel in Oysterbay, Kinondoni District in Dar es Salaam. Earlier reports by Dar es Salaam Special Zone Police Commander Lazaro Mambosasa had it that the youngest billionaire in Africa with a net worth of 1.5 billion US dollars (over 3.3tri/-), was abducted by unknown masked people and the police are still hunting for the abductors to rescue the victim. Addressing reporters last weekend, Home Affairs Minister Kangi Lugola asked members of the public with information that can help in rescue mission to share with the police. "As the security organs are working on it, we ask the support from every member of the society who has information on his where about to share with us," said the minister. Mr Lugola noted on the other hand that despite the recent abduction of Mr Dewji, Tanzania remains a safe place to stay and invest, stressing that security organs are working round the clock to maintain security in the country. He assured investors of enough security, maintaining that Tanzania is safe to stay and invest.